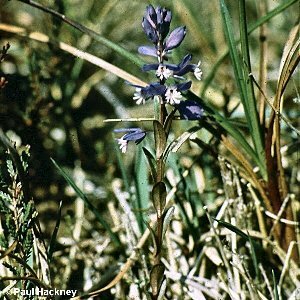 This beautiful little plant is to be found growing amongst low herbs and grasses in dry situations. 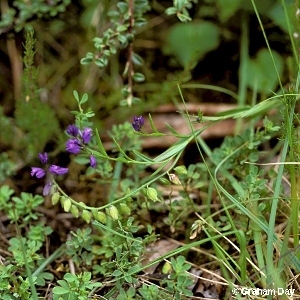 It is rather less frequent than the similar heath milkwort (P. serpyllifolia), from which it can be separated by the fact that all its leaves are alternately arranged. Flower colour is variable - pink and white forms occur. Very large and robust forms, with exceptionally large flowers, are to be found on the cliffs at various places around the Antrim and Londonderry basaltic scarp such as Binevenagh and Sallagh Braes.